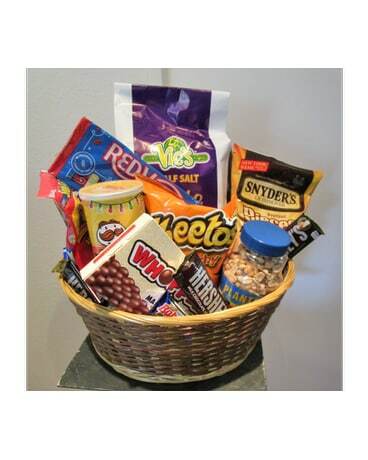 Gift basket with an assortment of candy, chips, popcorn, pretzels, cookies and nuts. Order can be customized (requires phone in order). 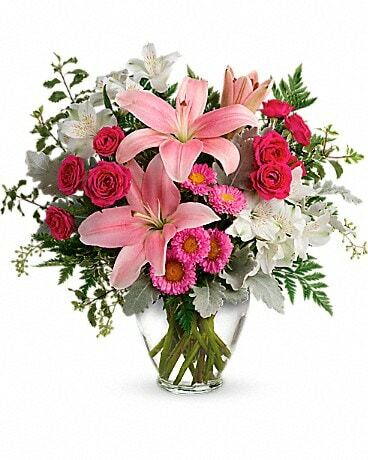 This is a custom basket and items pictured may vary if ordered online.